There is so much to tell about Costa Rica, whether you’ve been there for just a few days or for months so like everyone else I have to prioritize. I chose three places that capture some of my most enchanting moments there: Puerto Viejo area, town of Orosi, and the Irazú Volcano. 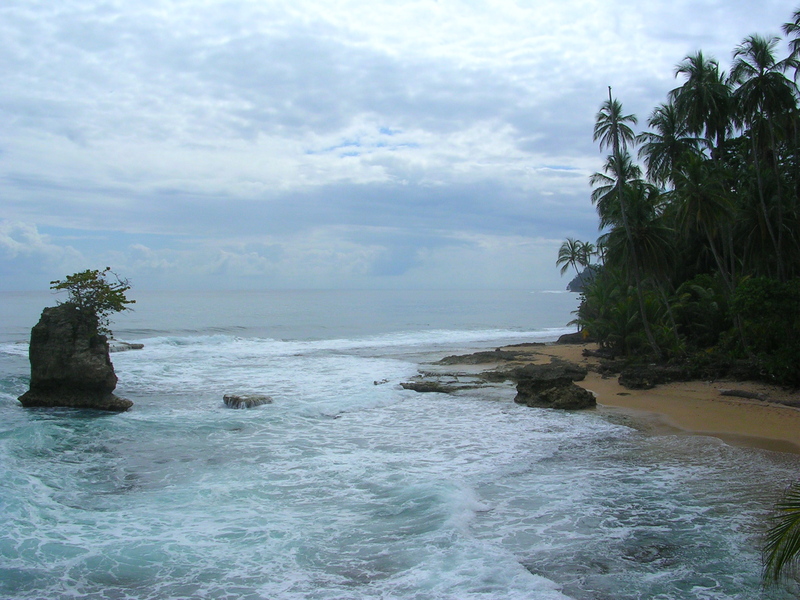 Playa Cocles is a slice of paradise. Stretched along a dusty road south of Puerto Viejo on the Atlantic coast, it is wild and beautiful and yet only four hours away by car from San José. 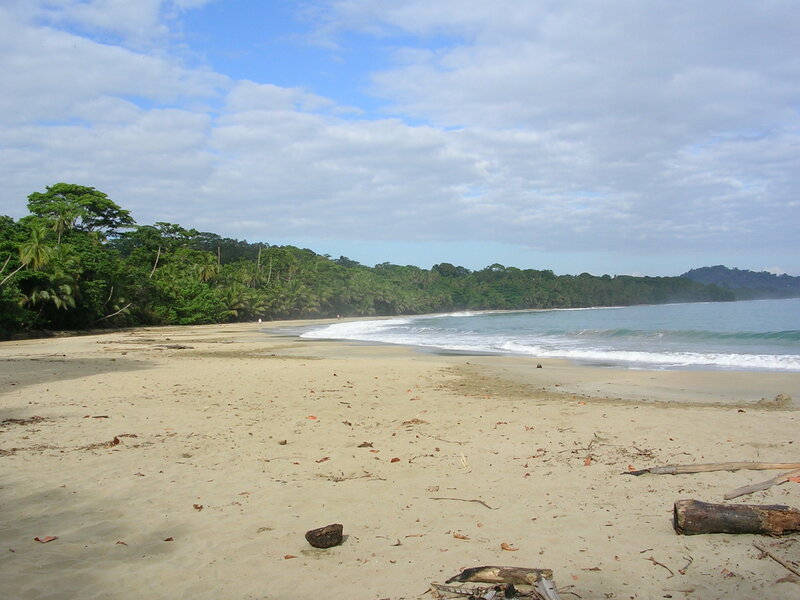 Thanks to Costa Rica’s laws that make the first 50 meters past the high tide mark public land, no one can own a beach anywhere in the country, saving the pristine stretches of sand and coastal vegetation from ugly commercial development. No hotel fronts, no soda stands, no beach chairs. Perfect! And then there is the culture. The area has a unique mix of Latino, Afro-Carribean and indigenous Bribri influences that makes local people fascinating and food delicious. Columbus was the first European to set foot in that part of Costa Rica in 1502 but moved on having encountered fierce resistance from the natives. The Afro-Costa Ricans are descended from English-speaking Jamaican and other British West Indian immigrants who came here in the 19th century to work on construction of the railroad and stayed on, establishing amicable trade relations with the indigenous population. 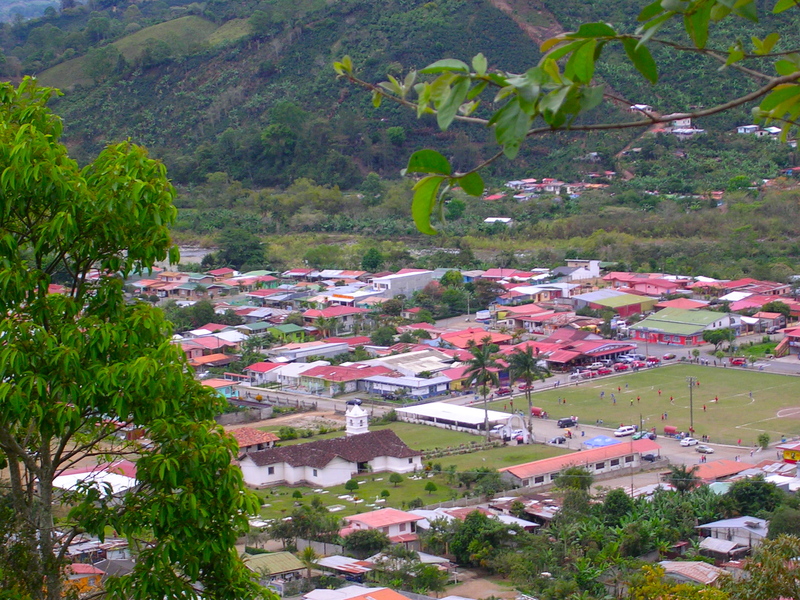 They were denied Costa Rican nationality until 1948 and prevented by law from working elsewhere, which until recently made Limón Province where Puerto Viejo is located culturally isolated and therefore unique. When you’re in Playa Cocles, La Costa de Papito, about a mile southeast of Puerto Viejo, is a perfect base for both relaxation and exploration. These charming rustic bungalows are surrounded by lush vegetation: palm and banana trees, tropical fruit, bird-of-paradise-like heliconias, crimson bromeliads, and dozens of other flowers and plants I cannot name. Just stretch in a hammock on a wrap-around porch and take it all in – as Ticos (Costa Ricans) say, pura vida, this is living! Did I mention they serve you breakfast on the porch? 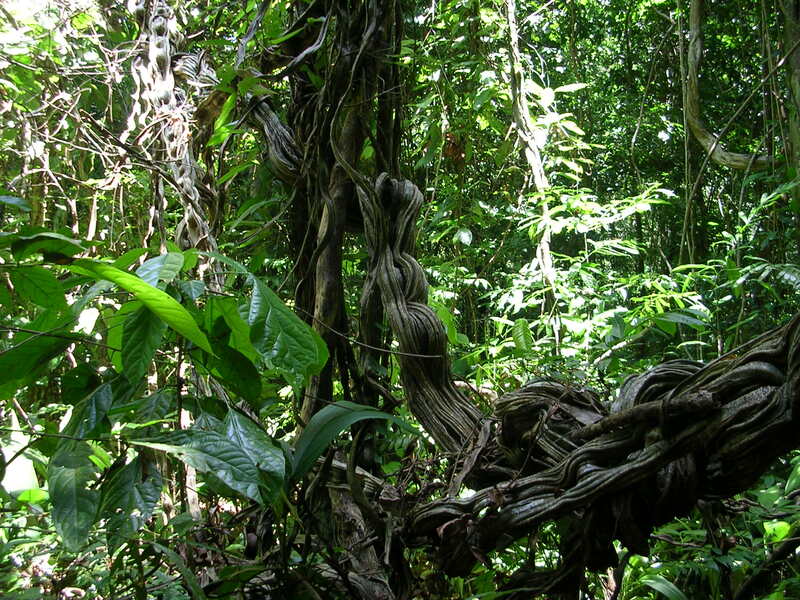 For those looking for more active adventure, a guided walk through the jungle is an unforgettable experience. Before I came to Costa Rica, I knew it was one of the most biodiverse places on earth despite its small size – more than 5% of the world’s biodiversity crowded in only .03% of the planet’s landmass. But to know that fact intellectually is much different from seeing it with your own eyes. Manzanillo (named after the manchineel tree), a small town close to Playa Cocles offers such an opportunity. 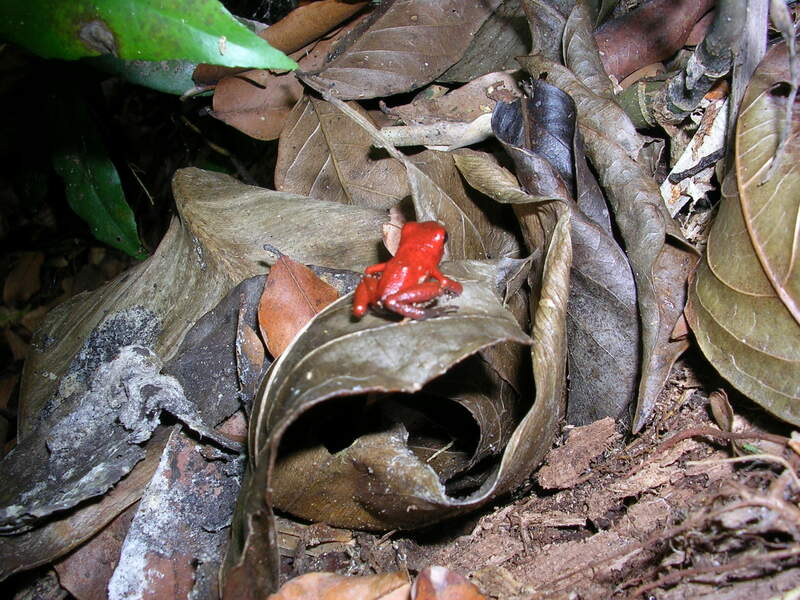 The animals were amazing – and everywhere: sloth, monkeys, birds, basilisk lizards, fairy-tale insects, brilliant yellow vipers – and of course frogs. A tiny red frog was my favorite. 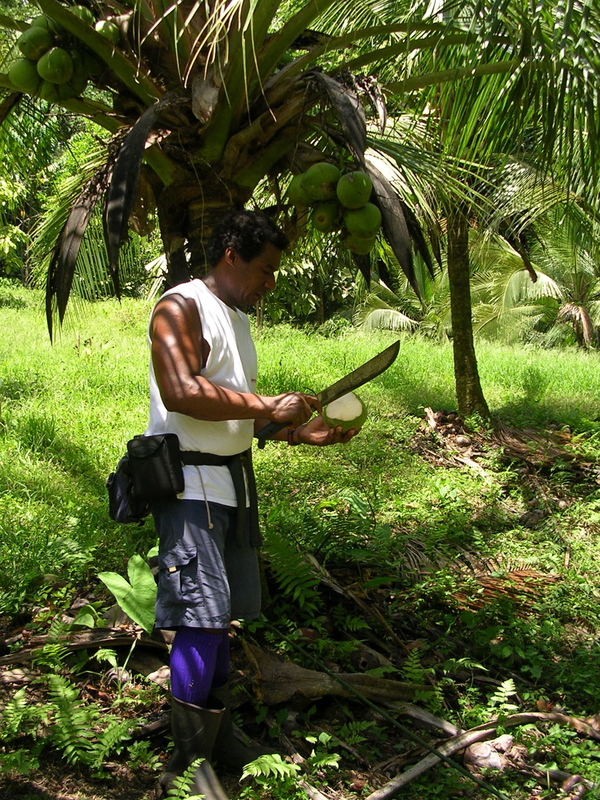 And nothing tastes like fresh water from the coconut cut by our guide Florentino with just one swift strike of his machete! 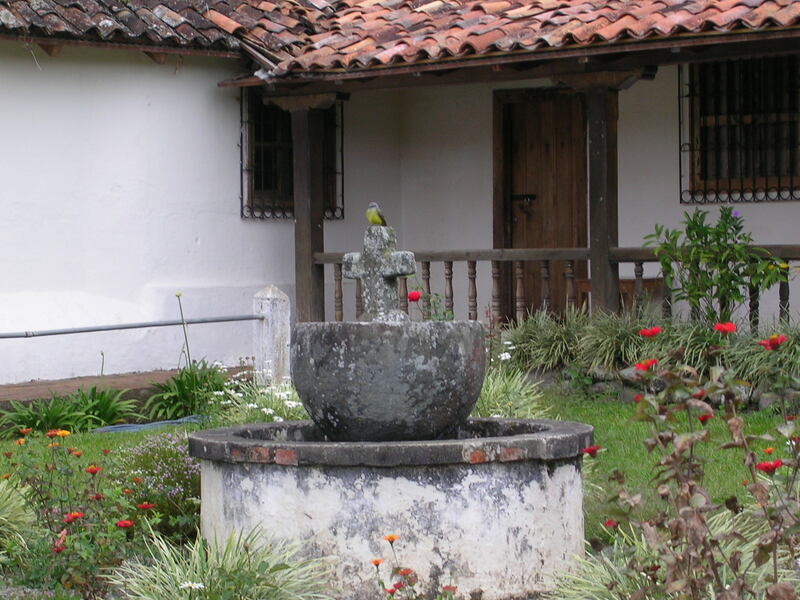 Now back to central Costa Rica… If you’re looking for an easy day trip from San José, go to Orosi – a small colonial town nestled in gorgeous Orosi Valley that is home of the oldest church currently in use in Costa Rica: Iglesia de San Jose Orosi built in 1743 and still standing. That’s not a small thing in a place where many historic buildings have been destroyed by earthquakes, including the oldest church in Costa Rica – now in ruins – in the nearby town of Ujarrás. The Orosi church is not imposing but still a clear focal point of the community. Kids play soccer in the field right in front of it and the surrounding shops and restaurants are hangout places where locals by far outnumber tourists. I can’t quite explain it but it feels very familiar, very comfortable even though I’ve never been here before. But what really took my breath away – both literally and figuratively – was a climb up the coffee fields rising up in steep slopes from the floor of the Orosi valley. A view from the top is a small lake of red rooftops and white-washed walls lost in verdant tropical vegetation, and perhaps in time. Another easy day trip from San José is Irazú volcano. Most famously in recent history, it erupted in 1963 on the day JFK began a state visit to Costa Rica. I’ve never seen anything quite like this. The moon-like landscape and gargantuan proportions make it a sight to remember. 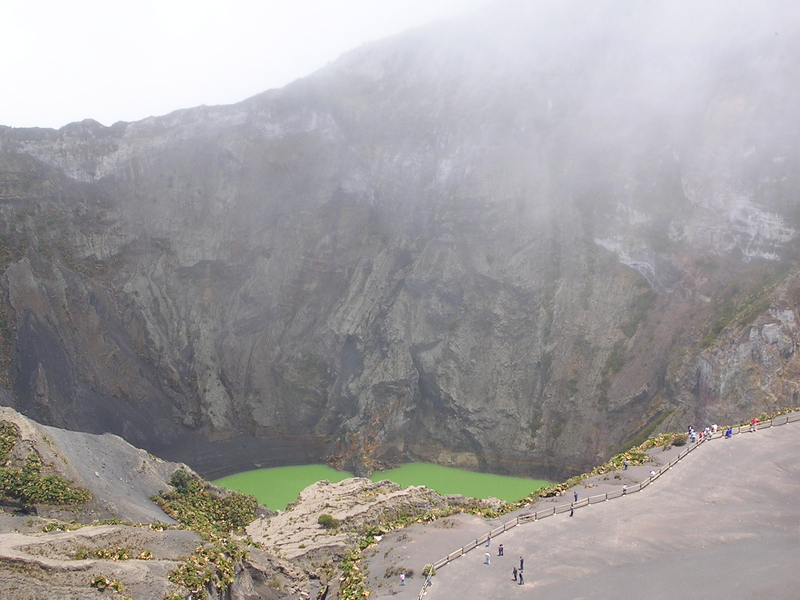 Irazú is the tallest active volcano in Costa Rica, standing at 11,259 feet, but it’s easily accessible with the road going nearly to the top. A short climb and the sight you get is highly rewarding – provided it’s not too cloudy. Frozen lava walls of the largest crater cut into an unbelievably turquoise surface of Diego de la Haya lake. Apparently on a clear day both the Pacific and Caribbean coasts are visible from the summit but that’s not something I managed to experience. Instead, milky clouds kept rolling in and out of the crater compounding the feeling of other-wordliness of this amazing place. There is so much to tell about Costa Rica, whether you’ve been there for just a few days or for months. I spent less then three weeks there that still felt like a lifetime of experiences. I guess what I’m saying is that this is likely just part 1 so stay tuned.